Apple’s newest AirPods improve upon a winning formula by bringing hands-free “Hey Siri” and better battery life. They also promise faster connectivity when switching between your Apple devices. They appear to have been popular so far, just like their predecessors, with shipping times slipping soon after they first went on sale last week. Now the new AirPods are on the way to those who placed an order early. Customers started receiving shipping notifications for their new AirPods over the weekend. Most deliveries are scheduled to take place on Tuesday, but some are reporting that they’ll have to wait until Wednesday. A lucky few in the U.K. will receive their new AirPods today, MacRumors reports. However, they probably won’t be able to use them right away. The new AirPods require iOS 12, watchOS 5.2, and macOS Mojave 10.14.4. These releases aren’t available to the public yet, but they have been in beta testing for a while and are expected to rollout after today’s Apple event. If you haven’t already ordered new AirPods, you’re now going to have to wait 3-5 business days for them to ship from the Apple Online Store. If you buy them with a Wireless Charging Case, you’ll have to wait 7-10 days. 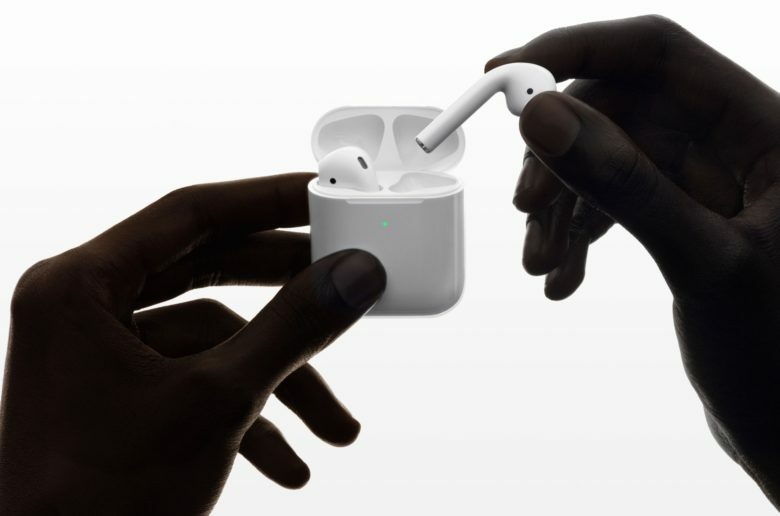 Apple has stated that AirPods will be available to purchase from retail stores this week, however, so you may be lucky enough to find them in stock near you.